The benefits of a perfectly designed Invoice are manifold. It is a reflection of your company that introduces you to your customers. So making it impressive earns you some brownie points for larger customer engagement. We have some great Receipt Templates ready for you that guarantee quick and painless invoicing. While all of the below templates are ready to use, you can modify them as per your preference. You can add your company logo to give them a personalized touch. 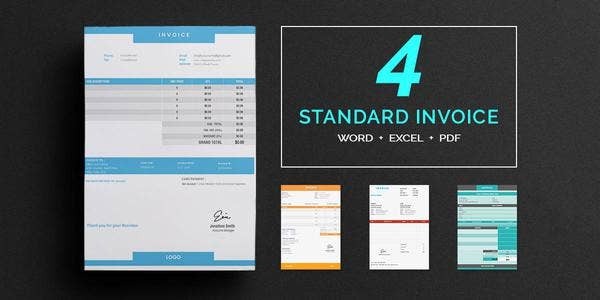 This is set of 4 simple Invoice Templates with impressive designs. These come in various formats like Word, Excel and PDF. These colored templates are ideal for all kinds of Invoicing. 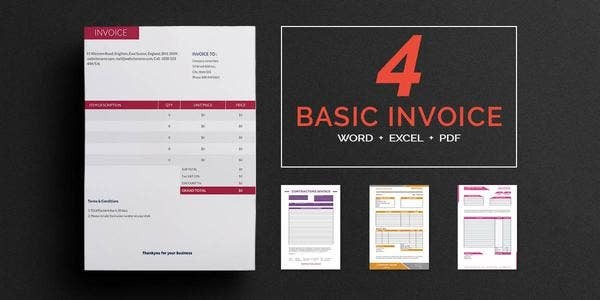 This is another set of simple yet elegant Blank invoice templates which are suited for a wide range of businesses. The bottom section has designated space to add the company logo. These excellently designed templates are suitable for preparing tax invoices. They clearly mention all the required fields for tax invoicing. They let you feature your company’s name at the top. These modern bill of sale templates have an eye-catchy layout. These can be formatted in Word, Excel or PDF depending upon the requirement. These are editable and print-friendly designs. 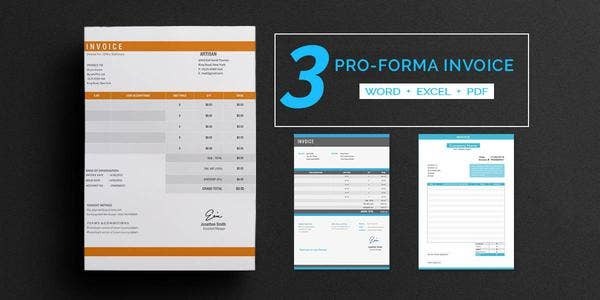 This is set of 3 superb Pro forma invoice templates that have been nicely designed to accommodate all the required information. The lower section of the page leaves space for company information and authorized signature. > Who Should Use the Invoice Templates? The Invoice templates have been designed to suit the requirements of any kind of business. All these templates mentioned above are generic ones and do not mandate to be used by any specific company. The fields like Item, Order No, Invoice No and Bill amount are common to all invoicing processes. So no matter if you need a template for your online ecommerce store or for billing your suppliers and vendors, these templates can be used everywhere. From various colors and formats, you can use the one that matches the nature of your business. 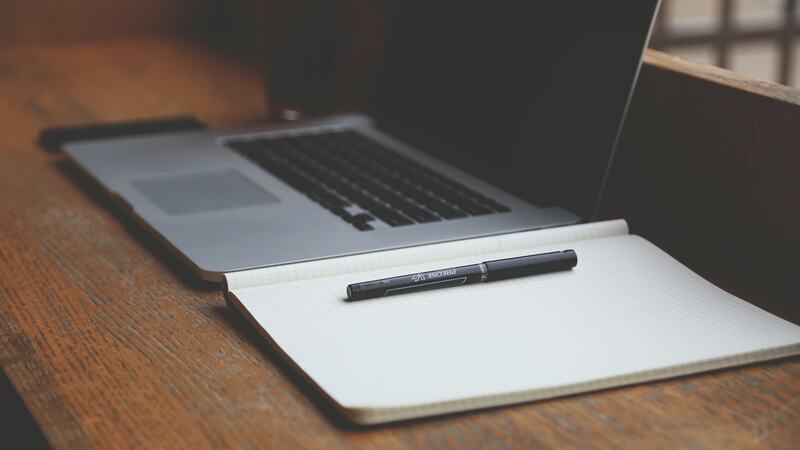 > What are the Benefits of Using the Invoice Templates? As we have mentioned earlier, an invoice does not only serve as a tool for generating bills, rather it speaks a lot about your company to your customers. An immature invoice format may ruin the chances of creating a good impression on your customers. So you need a professional invoice to do all the billing. 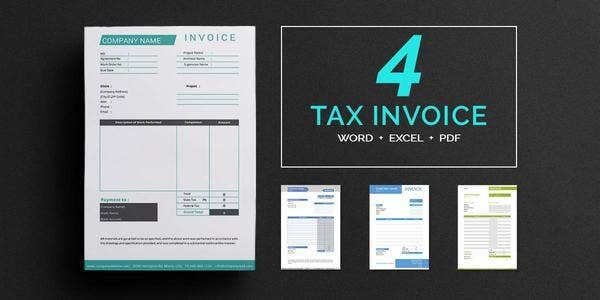 These invoice templates let you put the company logo and tagline and highlight your brand name in the bill. Professional formats also create a sense of authenticity of the invoices. > How you Should Use the Invoice templates? 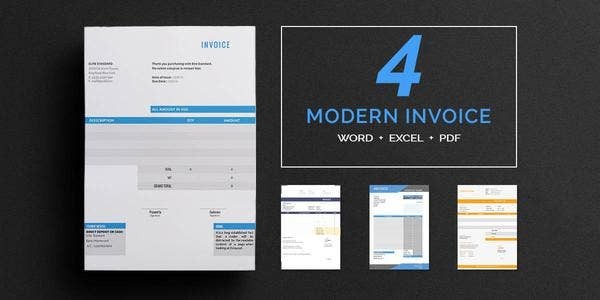 All of these free online Invoice Templates have been designed in such a way that anyone can use them instantly. If you do not want to do much modification in the sample format, you are good to go with the ready-to-use format. Just by adding the company logo and company information, you can give it a personalized touch. Other parts of the samples do not require tweaking unless you need to add or remove any information in the invoice. These invoices are available in multiple formats like Word, Excel and PDF. You can use whichever format you prefer. An impressive invoice speaks a lot about the company. It helps you build rich business relationships by having a trademark Invoice design for all your invoicing activities. Initially you may not feel the importance of a good invoice but in the long run, invoices often become an identity of company and act as a face of the organization.